Welcome to Osteópata in Barcelona! 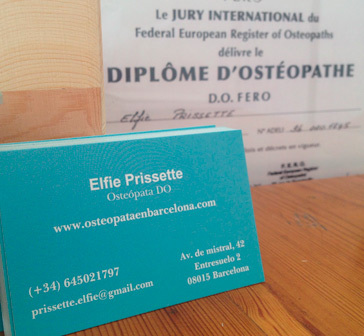 My name is Elfie Prissette, I am a French osteopath living in Barcelona. I graduate in the Institut Dauphine d’Osteopathy. Osteopathy is based on the whole body to find and treat the cause of pain. Osteopathy can treat a wide variety of disorders that affect adults, children and babies, pregnant women and sports-related injuries. 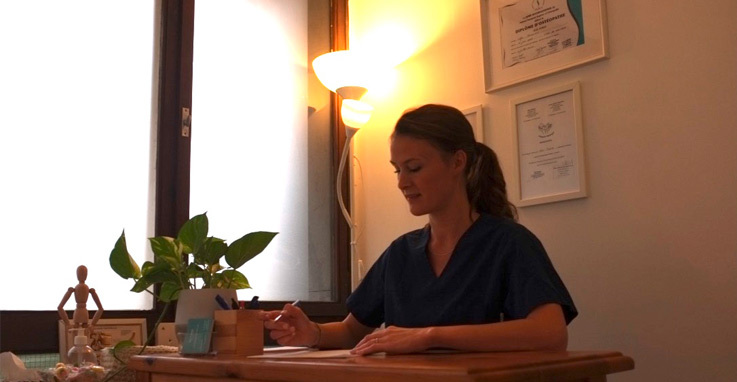 Located in the district of Sant Antoni, not far from the Plaza España, the osteopathy cabinet is accessible by several subways, bus and train lines. The office is part of the Espai Mistral, a multidisciplinary space composed of Acupuncturist, Osteopath, and Kinesiologist. The osteopath is there to help you and resolve your problem. After listening in order to better know the reason for your consultation, we will assess the various malfunctions and establish a treatment.